Boss Martin Allen bemoans Eastleigh's "appalling" first-half performanceEASTLEIGH have confirmed that their rearranged National League showdown against Macclesfield Town on February 21 will remain a free-entry game. But that will come as scant consolation to Spitfires fans who forked out good money for yesterday's truly dreadful 1-0 home defeat by relegation-battling Woking who played the last 25 minutes with ten men. Eastleigh's league game versus Macclesfield Town, that was postponed last Tuesday owing to a frozen pitch, has been rearranged for Tuesday 21st February at 7.45pm. Eastleigh: Graham Stack Hakeem Odoffin, Michael Green (Sam Muggleton, 46), Sam Togwell, Bondz N’Gala, Adam Dugdale, Tyler Garratt (Mikael Mandron, 40), Jai Reason, James Constable (Mekhi McLeod, 60), Darius Henderson, Ross Stearn.Subs (not used): Ben Strevens, Ayo Obileye. 2017-18 Season Ticket Information | Eastleigh FCWe are delighted to announce that there will be NO INCREASE AGAIN in Season Ticket prices for the 2017-2018 season. The Club continues to be committed to bringing 'Affordable Football' to The Silverlake. Yet again, our Early Bird Prices will be available until the end of April, however unlike previous seasons there will be no extension period. Striker Bird flies the Eastleigh nestFORMER Portsmouth striker Ryan Bird has parted company with Eastleigh and returned to the Football League. The 29-year-old has joined Newport County who are rock-bottom of SkyBet League Two. Bird was transfer-listed by Eastleigh boss Martin Allen just prior to Christmas. Welcome to Rodney Parade Ryan Bird!Newport County AFC are pleased to announce the signing of Ryan Bird on a permanent deal. The twenty-nine year old striker joins the Exiles in time for Saturday's Sky Bet League two encounter with Hartlepool United at Rodney Parade. Eastleigh call early-morning pitch inspectionTOMORROW'S big free-entry game between Eastleigh and Macclesfield Town is hanging in the balance. With temperatures due to plummet again tonight and a thick fog still enveloping the area, the Spitfires will hold an 8.45 pitch inspection tomorrow morning. An early decision is needed prior to Macclesfield setting off on a 400-mile round trip south. Doswell left with "crick in the neck" after 1-1 draw with EastleighTHE irony of Sutton United's equaliser against Eastleigh yesterday was not lost on the Us' former Spitfires boss Paul Doswell. A major feature of the 1-1 Vanarama National League draw at Gander Green Lane was the long throw of new Eastleigh signing Sam Muggleton who, according to manager Martin Allen, can propel the ball further than ex-Saint Rory Delap. Tubbs back to haunt Eastleigh in 1-1 draw at SuttonSUTTON UNITED 1 EASTLEIGH 1. EASTLEIGH extended their unbeaten Vanarama National League run to four games this afternoon, but were pegged back for a 1-1 draw against Sutton United at Gander Green Lane. Tyler Garratt gave the Spitfires an interval lead, but Sutton - buoyed by their midweek FA Cup heroics against AFC Wimbledon - levelled through ex- Spitfire Matt Tubbs with 20 minutes to go. MK: Let’s take you back to 2011. The Spitfires were in the Conference South,. Mid-table, a side pushing for the play-offs but not quite making it. Ian Baird was the manager and crowds averaged around 650 people. Fast forward five years. The club is in the National League pushing for promotion to the Football League with former Brentford manager Martin Allen at the helm of the playing squad. Attendances are growing year on year and recently the Spitfires took 1500 fans away in the FA Cup third round. 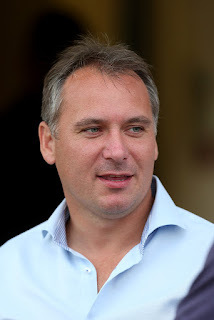 The club has certainly grown under the leadership of Stewart Donald and his team. What a five years it’s been for Eastleigh FC. Lets now take a look back and cast an eye to the future with the chairman and owner Stewart Donald. Stewart, five years. It’s flown by. Eastleigh appoint new captain and add a young winger to the ranksSAM Togwell will wear the Eastleigh captain's armband for the rest of the season. Joe Partington's departure to Bristol Rovers left the Spitfires looking for a new skipper and, in 32-year-old defensive midfielder Togwell, manager Martin Allen believes he has the perfect man for the job. New Eastleigh signing "throws further than Rory Delap"HE was a Conference winner with Barnet and creates all manner of havoc with a throw longer than ex-Saint Rory Delap's. Small wonder that Eastleigh manager Martin Allen was so keen to link up again with the Spitfires' latest signing Sam Muggleton. Luke Coulson has completed his move to League Two side Barnet for a club record fee for Eastleigh. The 22-year-old's departure comes just days after Joe Partington left the Silverlake Stadium for Bristol Rovers. A statement from Eastleigh FC read: "After lengthy negotiations, 22-year-old Luke Coulson has transferred from Eastleigh to League Two Barnet for an undisclosed fee. "Coulson has been with The Spitfires for less than a year but again Eastleigh Football Club do not want to stand in the way of a players desire to play at a higher level, which Coulson has taken. "It also allows Eastleigh to net a record transfer fee surpassing the amount received only last weekend for Joe Partington. "Eastleigh wish Luke well for his future and thank him for his time with us." Following yesterday’s announcement that the Spitfires had accepted an offer for striker Scott Wilson, Eastleigh have now revealed that he is set to stay. "Scott made it clear that he wishes to remain with us and is determined to play a key part in helping us deliver our ambitions," an official statement read. A transfer update from the club added: "With the January transfer window in full swing, the club expect to announce a couple of signings in addition to Sam Muggleton. "It is also likely that there will be a similar number of departures as Martin looks to shape his squad for the remainder of the season and beyond." 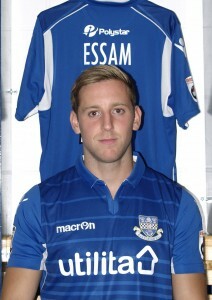 Eastleigh Football Club have accepted a bid for striker Scott Wilson. Now Eastleigh accept a bid for striker ANOTHER of Eastleigh's younger players is on the brink of leaving the Vanarama National League club. Eastleigh have confirmed the signing of 21-year-old defender Sam Muggleton for a nominal fee from Barnet. Sam started his career at Leicester City before moving on to East Midlands County League side Holwell Sports following his release. Sam then returned to the professional game with Gillingham. After only two appearances for the Kent side Sam signed for Barnet, where he helped them clinch the National League championship in 2015. Sam is comfortable in a left back role or on the left hand side of midfield and has also played in the middle of the park. Sam also has the ability of the long throw to add to the sides attacking options. Eastleigh has received and accepted an offer for midfielder Luke Coulson. “Eastleigh Football Club can today confirm that they are in receipt of an acceptable offer from a Football League club for their England C squad international midfielder Luke Coulson. “Coulson, who joined Eastleigh this time last year from Oxford City, has been the subject of two approaches so far this month which have been turned down, but the player has now been given permission to talk to the interested party following the offer. Championship side Wolverhampton Wanderers defender Hakeem Odoffin has extended his stay with Eastleigh FC until the end of the current season. Odoffin, who joined Eastleigh in mid-December making his debut at Southport, has been producing impressive performances in his spell at the Silverlake. Both clubs along with the player are delighted that the loan arrangement has been able to be extended. Eastleigh extend Wolves defender's loan deal EASTLEIGH have extended the loan of Wolverhampton Wanderers defender Hakeem Odoffin. The 18-year-old has got the green light to stay at the Silverlake Stadium for the rest of the season. Odoffin joined the Spitfires in mid-December, initially on a month-long deal, and has started four games for the Vanarama National League club. 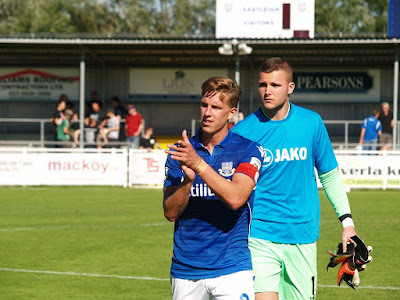 Eastleigh Football Club can confirm that club captain Joe Partington has today left the club and joined Bristol Rovers for a club record transfer fee. The club gave Joe permission to speak with Bristol Rovers yesterday following an offer which activated a release clause in his contract. The club were in negotiations to extend Joe’s contract further, however with such a high level of interest being shown from teams higher up the pyramid it was always likely that his would be difficult to conclude. Joe has been an extremely popular member of the squad since signing and has made over 100 appearances for the club. He has conducted himself impeccably and is fully deserving of the opportunity to return to the Football League. Whilst the club are extremely disappointed to lose Joe, we are absolutely delighted for him personally. It is a fantastic move, to a super club and we wish Joe well for the future and thank him for all his efforts whilst at our club. Centre back Connor Essam has taken the option of a return closer to his home with a loan arrangement to join Dover Athletic until the end of the season. We wish Connor well with his move, with the stipulation that he will not play against Eastleigh when we play Dover Athletic later in the season. Eastleigh Football Club have also mutually agreed to terminate the contract of 20-year-old James Granger to enable the midfielder to seek more regular first team opportunities. Having been restricted to just one substitute appearance in the Vanarama National League and one FA Trophy appearance this season, it was felt in the best interests of the player for him to be allowed to seek opportunities elsewhere to progress his career. We wish James all the best for the future. Eastleigh boss ready to trim squad after latest signingEastleigh manager Martin Allen admitted he has more than enough players after handing a debut to new signing Darius Henderson in the 1-1 draw against Forest Green Rovers. Henderson is Allen's sixth signing since his appointment six weeks ago. Eastleigh: Stack, Partington, N’Gala, Obileye, Garrett; Odoffin (Wilson 75), Togwell (Reason 56), Strevens, Coulson; Constable (Henderson 45), Mandron. Subs not used: Childs, Dugdale. Forest Green Rovers: Russell, Bennett, Clough, Monthe; Sinclair (Mullings 71), Cooper, Noble, Pinnock, Wishart, Marsh-Brown (Kelly 83); Doidge. Eastleigh 1-1 Forest Green Rovers: Frustrated Spitfires in no mood to singEastleigh 1 Forest Green Rovers 1 Martin's Allen pre-match playlist did not have the desired effect as Eastleigh were held at home by Forest Green Rovers. Eastleigh have completed the signing of striker Darius Henderson from Mansfield Town. Henderson, 6 ft 4", started his career as a junior with Leeds United before moving on to Reading where he made 71 appearances and scored 15 goals. Henderson boasts a wealth of Football League experience having amassed almost 450 Football League appearances scoring 129 goals. Darius' previous clubs include Brighton & Hove Albion, Gillingham, Swindon Town, Watford, Sheffield United, Millwall, Nottingham Forest, Leyton Orient, Scunthorpe United and Coventry City. Henderson signed in time to be included in the squad for the home fixture against Forest Green Rovers. Darius Henderson’s squad number will be 39. Allen aims to turn Quality Street into Celebrations for EastleighMARTIN Allen is looking to turn 'Quality Street' into league 'Celebrations' now that Eastleigh are out of the FA Cup. Following Saturday's 5-1 defeat at Brentford, the Spitfires boss likened his squad to Quality Street having had to field mix-and-match sides ever since arriving from Barnet last month.